If you are like most people, you don’t want to spend any more time than you have to at the dentist’s office. But to keep your smile as healthy and good looking as possible, it is sometimes necessary to seek out more than just a regular cleaning and checkup. Dental implants are used to treat a wide range of issues. And while putting the implants in is a more intensive procedure than an average cleaning, the process has become a lot faster and more painless than it used to be. Read on to explore just a few reasons that you should consider dental implants. If you have one or more missing teeth, the teeth on either side of the gap can begin shifting into the empty space. 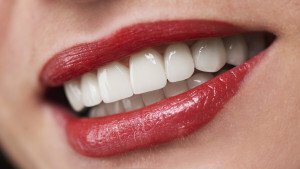 That can cause your smile to look crooked, and unevenly spaced teeth can be harder to care for. Putting dental implants into the gap ensures that your teeth stay where they are meant to be. A dental bridge can cover up the appearance of a missing tooth, but over time the section of the jaw where the roots of the teeth used to be will begin to deteriorate. This occurs because the jaw bone does not receive adequate stimulation when it does not have a root in it. Since dental implants effectively replace the root, you don’t don’t have to worry about unwanted problems affecting your jaw. Dentures offer a cosmetic fix, but they create a lot of headaches for people who wear them on a daily basis. They can fit loosely, lead to sores in the mouth, make it difficult to chew and lead to sunken lips. Dental implants restore your smile in the same way that dentures do, but the fix has far fewer problems associated with it over the long term. Dental implants can erase the appearance of a missing tooth. But since they also replicate the presence of a tooth in the jaw bone, they can help you to avoid a sunken in appearance. That way your smile looks great inside and outside of your mouth. If you think you may be a candidate for dental implants, get a consultation from the experts at Florida Dental Rejuvenation by calling 561-203-4716.